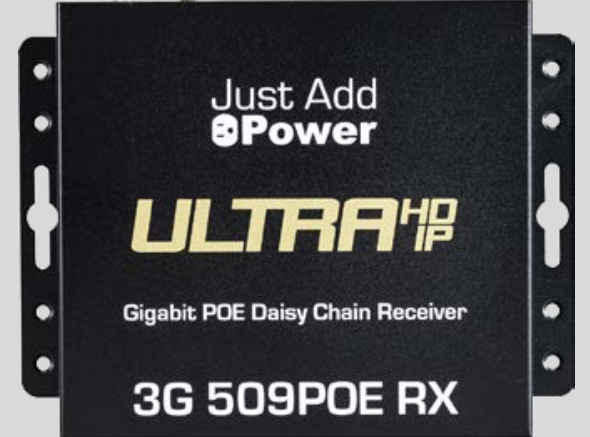 Just Add Power (J+P) will be at CEDIA to demonstrate its new 3G Ultra HD over IP Series Daisy Chain Receiver and launch Just OS, its family of firmware and app-based solutions for control and management of video distribution on any network. Just OS will feature the company’s latest firmware update, Every Switch Supported (ESS). The new VBS-HDIP-3G 509POE Daisy Chain Power-over-Ethernet (PoE) receiver distributes Ultra HD and 4K video over a single Cat-5e cable. With the onboard pass-through network port, any PoE device can be connected — a network soundbar, IPTV control, or a single display location can be expanded into a video wall. The receiver also easily expands the number of PoE devices that can be added to the system by connecting a PoE switch to the port. J+P will also demonstrate its new Just OS family of firmware, built from the ground up with the Representational State Transfer (REST) application programming interface (API), which is widely used in IoT application development. With this launch, it enables J+P’s ESS capabilities, which were developed to allow integrators to build any size 4K matrix on an existing network without having to change switches. It also brings together J+P’s Switch Please and Plug-Play-Present solutions under one umbrella.